Each hand-carved bone hook is unique, and several shapes, carving designs, and colors are available. Please inquire with Robyn at Robyn@LauhalaTrading.com or (808) 949-7371 for more information or to make an appointment to see the carvings. 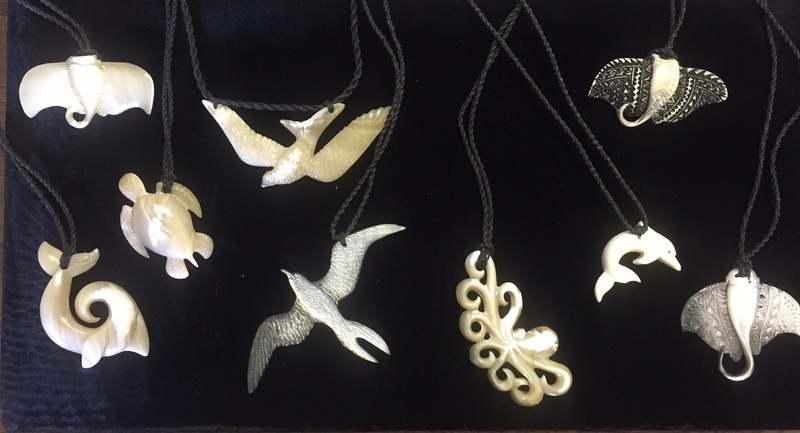 Hand-carved hook pendants from Samoa. Each one is a unique work of art. Hand carved shell pendants. Each one is intricately carved by hand. Made in Samoa. 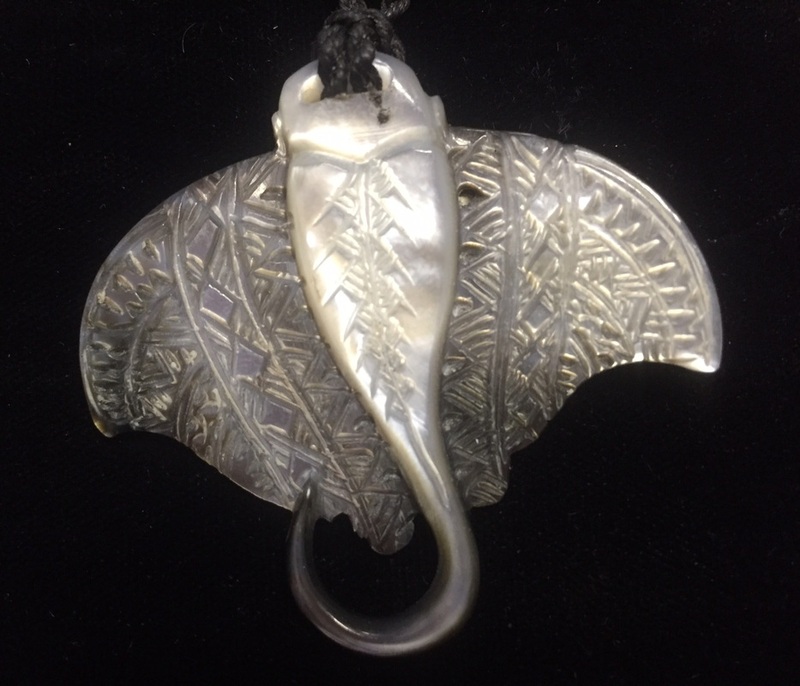 Hand-carved Mother of Pearl Manta Ray Pendant - Made in Samoa. 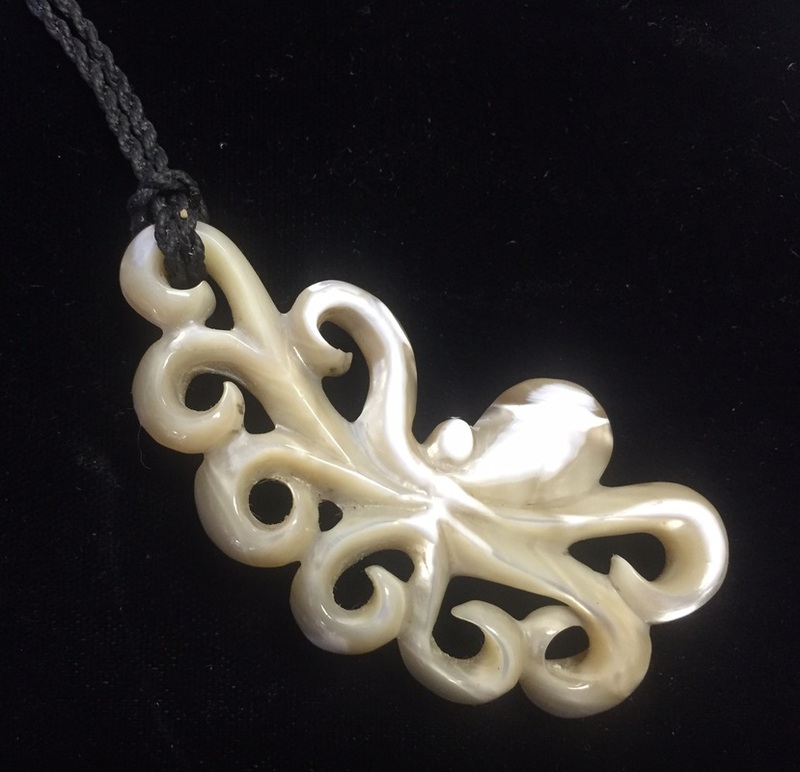 Hand-carved Shell Tako (Octopus) pendant. Made in Samoa. Hand-carved, native wood pendants. Made in Hawai'i. Wood and bone, hand-carved pendants. Made in Hawai'i. Highly detailed, relief carved, mother of pearl shells. Hand carved by artisans in Tahiti. Intricately carved mother of pearl shell dishes. Perfect resting place for your keys, loose change, or jewelry. Hand carved in Tahiti. Delicately carved mother of pearl shell dishes. Perfect resting place for your keys, loose change, or jewelry. Hand carved in Tahiti.